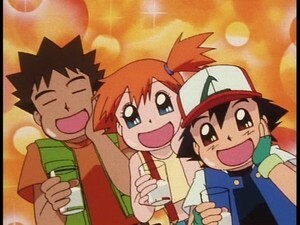 Brock, Misty, and Ash drinking fresh, clean, pure water. . Wallpaper and background images in the pokémon club tagged: photo.